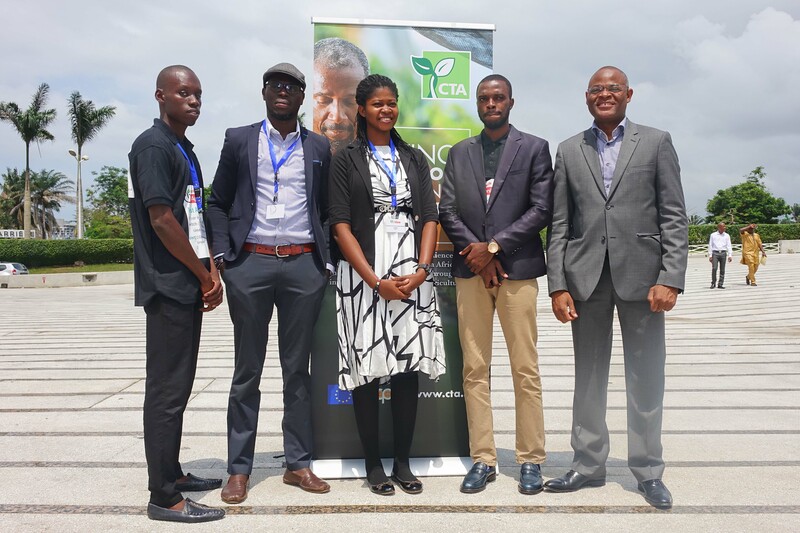 One interesting way (among others) CTA contributes to the development of youth in agriculture is through the organisation and facilitation of social reporting activities within the framework of agricultural conferences hosted by the organisation or its partners. 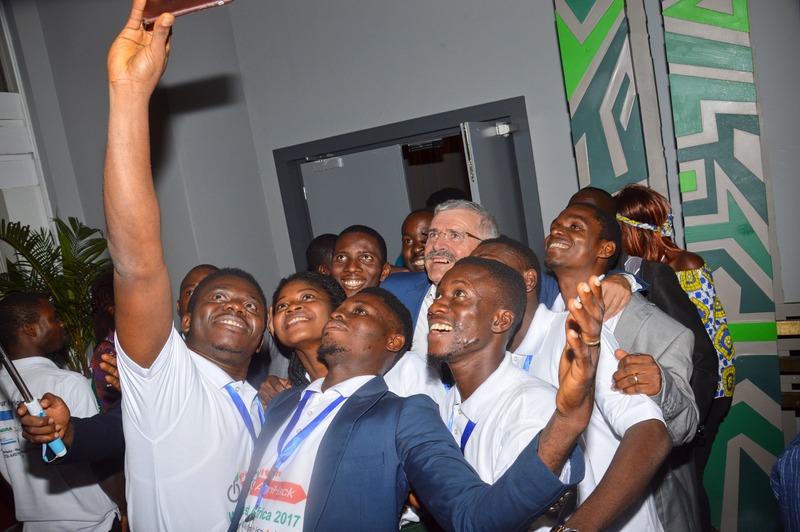 These activities enable youth to use social media tools and applications to disseminate live reports from such conferences and workshops (among others), individually and collectively. Social reporting activities also provide the platform to reach out to a wider audience especially those who are not physically present at the event, in addition to helping those present but limited by ability to only sit-in at one side event to follow the summary of discussions in other side-events. Social reporting deepens engagement by allowing feedback from the online audience to the conference organisers, speakers and panellists. This interactive platform helps youth in agriculture to be able to refine their own views and to engage with older professionals they may encounter difficulty in accessing in other circumstances. It also helps youth to showcase their own knowledge and grasp of the themes of the conference and contribute their ideas to the discussions – possibly opening up professional or entrepreneurial opportunities to these youth. This was a social reporting fully organised by CTA within the framework of its conference on ICT for agriculture held in Kigali, Rwanda from 4 – 8 November, 2013. The were 15 social reporters in all. Proposez votre solution avant le 21 octobre 2016 pour profiter de cette fantastique opportunité pour démontrer vos solutions à vos potentiels futurs clients et augmenter votre visibilité vis-à-vis du secteur agricole et de potentiels investisseurs et partenaires. Le CTA dispose d’une expérience unique et prouvée dans l’organisation des évènements Plug & Play depuis le premier du genre qui s’est tenu à Kigali (Rwanda), lors de la Conférence Internationale ICT4Ag en 2013. 64% de participants très satisfaits de l’organisation et du format des évènements et 33% de participants « moyennement » satisfaits…. Submit your solution before 21st October 2016 to take advantage of this fantastic opportunity to demonstrate your solution to your potential new customers and increase your visibility toward the agri-business sector and eventual investors and partners. CTA has a unique experience and the track record of organizing Plug & Play events since the first of its kind which was organised in Kigali (Rwanda), during the 2013 ICT4Ag International Conference. 64% of participants were very satisfied with the event’s organisation and format, and additional 33% found it “quite well” satisfying …. On this occasion, CTA is organising a social reporting activity. Strengthen the knowledge and networking of youth and their organisations in the area of agribusiness and finance, as well as in social media reporting. This call is launched for onsite social reporters only. However, young social media enthusiasts interested in contributing remotely to the reporting on the event can indicate their interest to join the online team. Highly committed members of the remote social reporters’ team will receive e-certificates at the end of the event. Social reporting for the Blending for Agriculture conference is a voluntary task. Be a good communicator and commit to contribute actively to the Social Reporting activity. Priority will be given to female candidates. All persons interested in being part of the onsite social reporting team should fill out this form https://www.surveymonkey.com/r/Blending4Ag-social-reporting by 28 September, 2016. Young social media enthusiasts interested in contributing remotely to the reporting on the event can indicate interest to join the online team (send a mail to ardyis-project@cta.int, with "Blending4Ag Remote social reporting” as subject line). Highly committed members of the remote social reporters’ team will receive e-certificates after the event. The social reporting is managed by the ARDYIS Project of CTA. Further information or clarification can be directed by email to the ARDYIS project team at ardyis-project@cta.int with “Blending4Ag Social Reporting” as subject line. Blending for Agriculture is a new strategy that permits public funds to be leveraged for unlocking private finance for farmers. The event, organised in collaboration with several of the leading organizations in this domain, will accommodate decision-makers from international development organizations, commercial banks, foundations, investment funds, microfinance institutions, central banks, agri-value chain stakeholders and farmers' organizations. Contribute to improving the development of youth in agriculture in the Caribbean and Pacific regions. CTA’s involvement will be in the framework of its support for the capacity development of youth in agriculture. This is in line with the overall core objectives of the Intra-ACP APP in contributing to capacity building of youth across Caribbean and Pacific region. The social reporting team is composed of 3 sub-teams; the coordinating team, on-site social reporters and online social reporters. This call is launched for onsite social reporters only, and is ONLY opened to those from the Caribbean and Pacific regions. However, young social media enthusiasts interested in contributing remotely to the reporting on the event can indicate their interest to join the online team (send an e-mail to ardyis-project@cta.int). Social reporting for the Caribbean Week of Agriculture is a voluntary task. • Be a good communicator and commit to contribute actively to the Social Reporting activity. All persons interested in being part of the onsite social reporting team should fill out this form https://www.surveymonkey.com/r/CWA2016-social-reporting by 31 August, 2016. Interested social reporters will be informed of their selection and about the modalities of joining the social reporting team onsite. This activity is coordinated by CTA (through the ARDYIS Project). Further information or clarification can be directed by email to the ARDYIS project team at ardyis-project@cta.int with “Caribbean Week of Agriculture 2016 Social Reporting” as subject line. 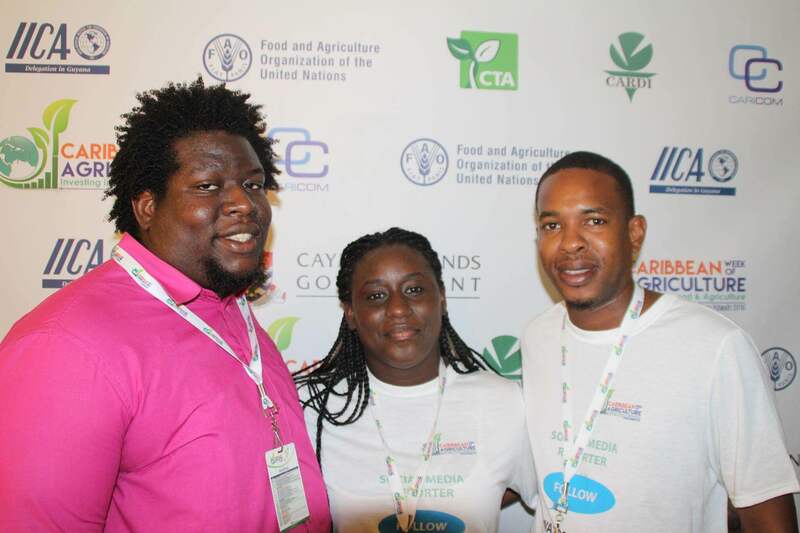 The Government of Cayman Islands in collaboration with the Caribbean Community and Common Market (CARICOM) Secretariat and other partners, including the Technical Centre for Agriculture and Rural Cooperation (CTA), is organising the 2016 Caribbean Week of Agriculture, from 24 – 28 October 2016 in Grand Cayman, Cayman Islands. This is an annual event that brings together key decision-makers and stakeholders from the public and private sectors that are active in the Caribbean agricultural development space. It provides a yearly platform for these stakeholders to acknowledge the importance of agriculture to the economic, social and environmental stability of the region, while also giving them the opportunity to dialogue and establish a common purpose towards repositioning agriculture and enhancing rural life. The theme for this year’s event is “Investing in Food & Agriculture”. Il s’est tenu à Kinshasa, du 29 février au 04 mars 2016, un atelier sur “Opportunité d'apprentissage du Web 2.0 et des Médias Sociaux (web2fordev)”. Organisé par le Centre technique de coopération agricole et rurale ACP-UE (CTA) et l’Institut international d'agriculture tropicale (IITA) en République Démocratique du Congo (RDC), cet atelier était une opportunité pour initier quelques agripreneurs et autres participants à une sélection d’applications du Web 2.0 et apprendre à les utiliser de manière pratique et participative. Les participants, parmi lesquels nous trouvons quelques agripreneurs, ont eu l’opportunité de suivre et de prendre part à la pratique de ces applications innovantes. Il a fallu juste cinq jours de concentration pour que les participants à l’atelier sur le Web2fordev se rendent compte qu’ils venaient d’être dotés des outils capables de booster le développement dans leur secteur d’activités respectives. Ils ont été initié à des outils fondamentales du Web2fordev, notamment la recherche multilingue avancée; le RSS, les alertes automatiques, la curation de contenu ; la collaboration à distance ; la cartographie en ligne ; la conversation en ligne ; les photos pour le web ; le blog ; le micro-blogging ; le réseautage social et les communautés de pratique en ligne. La sélection des modules a été adaptée aux profils des participants qui ont été sélectionnés dans plusieurs organismes et dans de domaines différents. Si, lors de la première journée, les choses ont semblé quelque peu floues, dès la deuxième journée, les participants ont vite réalisé qu’avec les principes de base de la première journée, ils avaient, comme par un coup de baguette magique, la facilité soudaine d’adaptation à cet outil important pour le développement. Ainsi, très vite, chaque participant a commencé à intérioriser et projeter en quoi pouvez lui servir le Web2fordev dans l’immédiat par rapport à son métier ou sa formation. Cela a stimulé une interaction très riche à l’image de la diversité des participants (géographes, agronome, internationaliste, journaliste, administratif, chercheur, etc.) permettant à ces derniers de vite matérialisé des ébauches de leurs ambitions naissantes respectives. Les participants ont expérimentés les possibilités de l’utilisation des notions acquises dans un cadre professionnel. Ceci a été par exemple le cas de Ghislain Mbesse, Chargé de communication d’IITA Youth Agripreneurs Kinshasa (IYAKIN). Grâce aux notions acquises, Ghislain Mbesse a été, déjà en quatre jours, capable de faire une ébauche d’un Blog pour IYAKIN. Dans son blog en cours de réalisation, mais déjà disponible au public, (http://iyakinshasa.blogspot.com/), en plus d’un design attrayant, Ghislain Mbesse y a déjà insérer cinq articles et cinq “pages” en rapport avec les différentes activités du programme Youth Agripreneurs. Cette formation vient donc de répondre à un objectif multiple et important de ce programme relatif à la mise en place d’un forum pour interaction, le stockage de toutes les données possibles, facilite l’accès à l’information, la collaboration à distance pour la création, la publication et le partage de l'information.